But she was saved by kind passers-by and her adopted parents in Nottingham had contacted us to help raise money to Fly Ghost home. 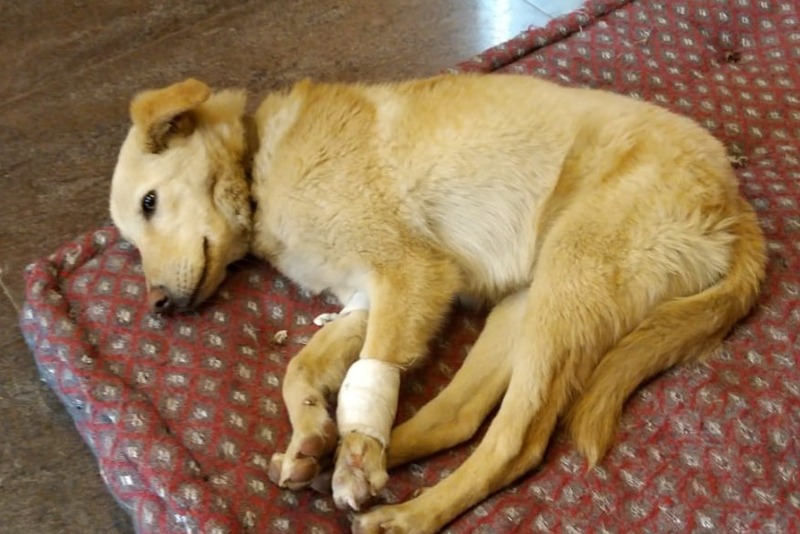 We’ve reached the target and now we await Ghost’s travel plans but they have decided that they needed to correct her broken bones before she flies to England, as it is also less costly to have that surgery in India. 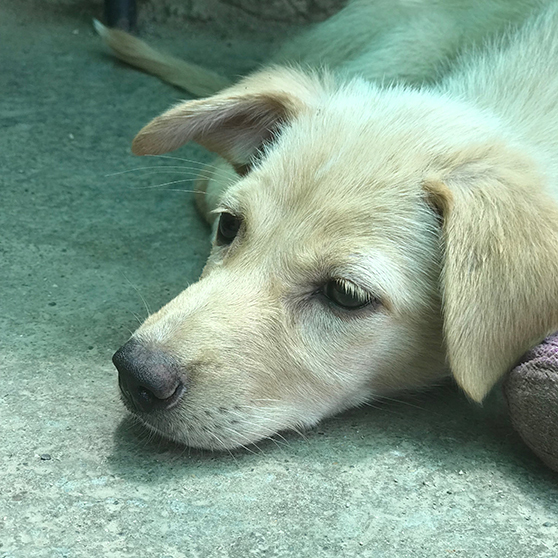 Ghost left Peepal Farm last week and is now at an amazing foster home in Delhi. This weekend, she will be undergoing surgery to straighten the bones in her bad leg. Although her leg healed well after the accident, the broken bones did not join together properly. Given that she still had a while before she was able to fly, we had x-rays taken and over the last month or so, we have been talking to vets both in India and here in the UK. After lot of discussion, the consensus was that it would be best for her to have surgery in India before she flies. We have been told that her bones will straighten to a considerable extent post surgery, which means better mobility and quality of life. Also, this will avoid problems like the bones bending further as she grows older or arthritis etc. in the future. We have also been told that it is very unlikely that she will need any further surgeries or procedures after this, so that’s good! 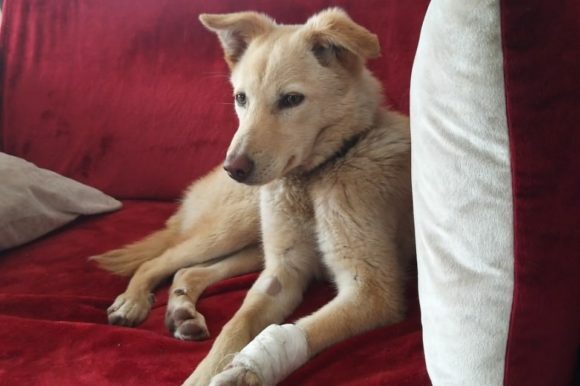 She will need about 3-4 weeks to recover completely after the surgery, and so we are expecting her to be ready to fly around the second week of March. And as suggested by multiple people, we have decided that we will look for a flight volunteer to fly with her to Amsterdam or Paris and we will go pick her up from there. This will involve a bit more work as we will need to visit a vet in Amsterdam/Paris before making our way to the UK. But overall, this will still be cheaper than the cargo costs, and we won’t have to pay customs and clearance charges. And this means we can use some of the money for her surgery and post-up care as well. May’s comment: So grateful to all of you who have donated towards this cause. 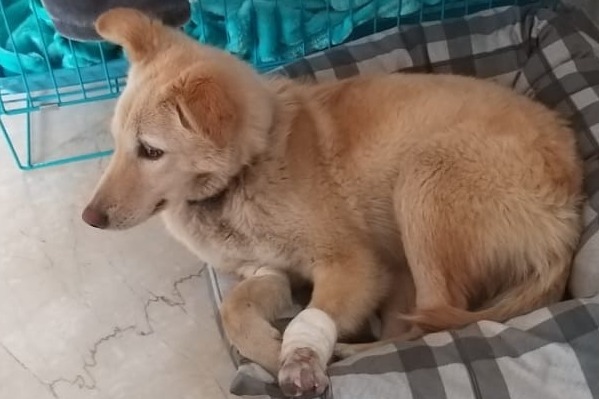 I know there are so many causes out there that needs our help, but you took the time to help this one little dog in faraway India to find her way home to her adopted parents. Thank you. It means a lot. We can;t wait t meet Ghost. She looks like such a darling. May – I donated a bit when you posted last time and have been following Ghost’s saga! Thank you for sharing and making more of us aware – even those of us in the “colonies “! Thank you so much for your help to getting Ghost home! We can’t wait for her to be home. Thank you for caring! We can’t wait to meet her!